OG Kush Medical Marijuana seeds are one of the most popular and sought after strains available. Highly awarded and winner of many ‘Expo’s and Cannabis Cup’s, OG Kush is a very powerful, potent Marijuana Hybrid containing 95% Indica and 5% Sativa genetics. A highly versatile plant, OG Kush can be grown both indoors and outside, in either soil or hydroponic based systems. The dominant Indica genetics generate robust plants with thick, strong stems, large leaves and a close branching structure, making them an ideal strain for Sea-of-Green growing technique, where they can be placed close together to form a lush, green canopy. All of these OG Kush Medical Marijuana are feminized, containing no male genetics. 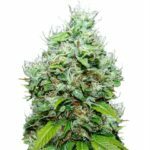 Hand selected and packed, these high quality feminized seeds are guaranteed to germinate under the I Love Growing Marijuana germination guaranteed, assuring you of the freshest, highest quality seeds possible. Buying feminized seeds gives you the peace of mind that each and every seed you purchase will generate a true female-only Marijuana plant. As only the female’s produce buds, male plants create pollen for fertilization, most growers only want to grow female plants, and males are often considered a waste of time, effort and resources. Grown indoors OG Kush will grow to between 25 cm – 100 cm tall depending on the techniques used. Sea-of-Green growers can reduce the vegetative period to just a couple of weeks, producing dense, squat plants with a main central cola. 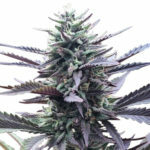 While Screen-of-Green and other super-cropping techniques are perfect for those growers willing to spend a little longer time in veg, to produce a larger, heavier canopy of buds. The dominant Indica genes reduce the flowering time to a minimum, with an average of just 55 days required for the plants to reach maturity. The buds are large, dense and light green in color with orange hairs and plenty of sticky resin. Despite its reduced flowering time, yields are good, producing an average of 450 grams of dried, high quality buds per square meter. 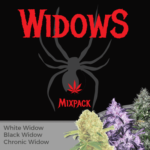 One of the very best Indica dominant strains, perfect for beginners and the more experienced grower. If you would like to learn more about how to grow Marijuana, download the free Ebook at the top of the page. 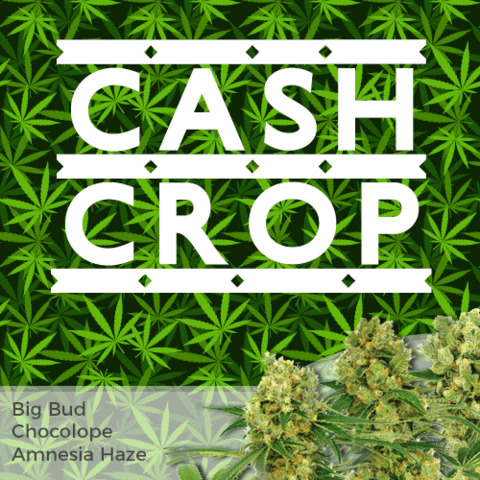 This free download explains many of the techniques used by ‘cash-crop’ professionals to increase the quality and weight of their harvests, and can help improve many grow rooms and harvests. OG Kush is a well-known strain with a lemon-pine flavor and earthy-woody aroma. The thick, rich smoke is smooth and aromatic with a zesty, citrus after-taste. A combination of Chem Dawg and Hindu Kush produces dense buds with great bag-appeal and unmistakable flavor. OG Kush Medical Marijuana is enjoyed by both medical and recreational users for its happy, relaxed and euphoric effects. Containing average THC levels between 17%-19% and a low CBD content, OG Kush generates a strong cerebral effect and relaxing body-stone. A good evening and night-time strain that may cause ‘couch-lock’ if enjoyed too much. Great for watching films, the TV or listening to music. OG Kush Medical Marijuana is predominately an Indica strain offering strong, natural relief from stress, pain and depression. Its powerful medicinal qualities can reduce insomnia and assist in relieving anxiety, migraines, ADD/ADHD, PMS and PTSD. A highly potent and popular Medical Marijuana strain, enjoyed by a wide number of users across many parts of the USA. 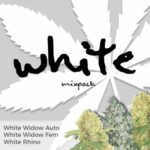 You can buy OG Kush Medical Marijuana seeds in packs of 5, 10 and 20 feminized seeds. World-wide postage and super-stealth packaging are included in the price, and delivery is guaranteed. 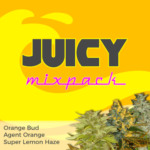 To find out more about buying OG Kush Medical Marijuana seeds online, click below.